Voted one of the best new products of 2015 by Cribsie. 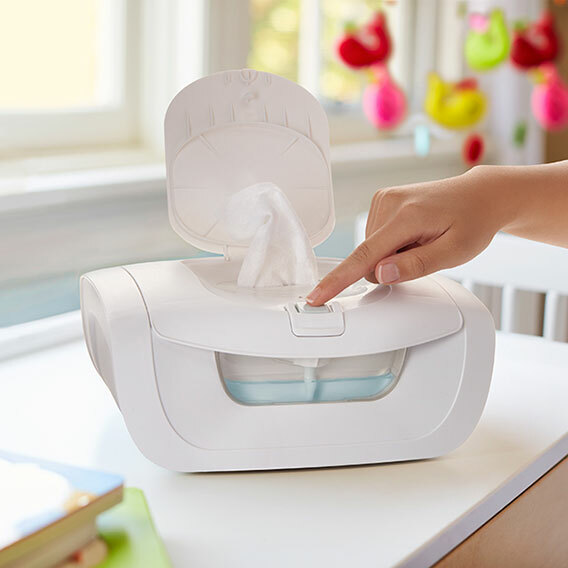 The Mist™ Wipe Warmer by Munchkin offers a revolutionary and simple way to keep your baby wipes warm and moist for easier diaper changes. This is the only wipe warmer with a misting system where moisture is released each time the lid is closed. No muss or fuss - simply fill the removable water reservoir with water, load your wipes, plug in the unit, and you're good to go. For additional moisture as desired, just press the misting button. And with the heating system housed in the top lid, you won't have to worry about getting brown dried-out wipes.